Every year I make it a goal to read as much as I possibly can. I enjoy reading and finding new authors that make me want to read even more. Most years I set out with a number of books I'd like to read but this year I'm just seeing how many I get through without the worry of hitting a specific number. There shouldn't be pressure on doing something you enjoy spending your free time doing. We are into March (which I can't even begin to wrap my brain around how it's already three months into the year) and I've already read several books. I wanted to break all of them down since I've enjoyed all that I've read so far. First up... How We'll Live on Mars. I'm a huge nerd when it comes to space. I mean clearly.. look where I use to work lol. I'm obsessed with the thought of us going to Mars. Ever since I sat down and watched The Martian, I can't get enough about the red planet. This book can get a little technical so it can be a slower read. If you aren't hip to the engineering or biologist lingo then it's going to get challenging to read but I really enjoyed it. 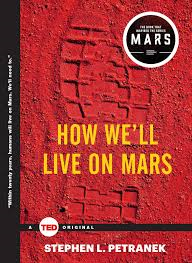 This book also happens to be what the recent National Geographic channel based their scripted mini series Mars on. The book mentions the current work of Space X and their efforts in getting us onto the red planet. Next up... The Dana Girls Mystery Series. The Mystery of the Stone Tiger. I got this book along with two others at my work's used book sale. 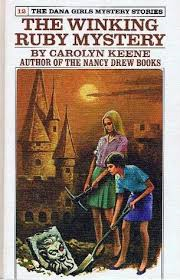 The covers were vintage and from reading books like Nancy Drew and the Hardy Boys, I recognized how similar they were in style. Well I was right! 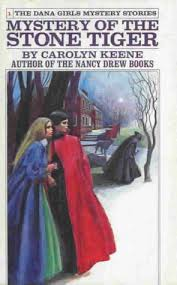 The Dana Girls were written around the same period and by the same author of some of the Nancy Drew books. This time it's about two sisters who go around solving crimes in their free time when they aren't at boarding school. Since I never read these books when I was young I've been reading them now. This one is about a museum featuring a stone tiger that keeps getting vandalized while the time begins to have odd occurrences. Together, the Dana sisters go about finding out what's going on while their on break from school. 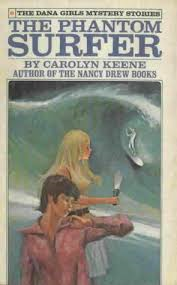 The Dana Girls Mystery: The Phantom Surfer. This one has been my favorite so far. The sisters along with their friend's go to a sleepy little off season beach town for a school trip. When they arrive they find that their room has been cancelled by a rival student that they don't play nice with at school. That quickly becomes the least of their problems as they realize someone else is trying to drive them away from town. The sisters quickly decide to help out the staff after they receive threats if they don't all quit their jobs and leave town. 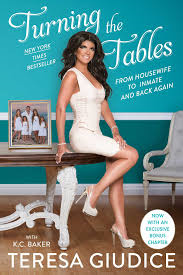 Turning the Tables: From Housewife to Inmate and Back Again. I use to love, love, love the Real Housewives of New Jersey. They were my favorite from the moment they hit the air. Those first few seasons were explosive with drama and family craziness. Once Theresa hit the news for her taxes and her husband scamming the U.S. government the drama got even more crazy. I had followed the story in the news and now to read her side of it, it's definitely interesting. I think she probably really didn't know what Joe had been doing. You can also tell she really loves her kids and wants everything to go back to normal. 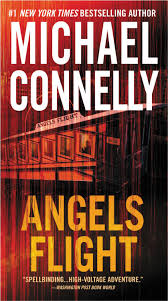 I got into these books because I loved the Amazon Prime show Bosch. I didn't know it was based off the Michael Connelly book series until a co-worker told me. Since then I've been reading the books in the order they were published because they build upon each other. This book like the others takes place in Los Angeles and a prominent civil rights attorney is murdered. 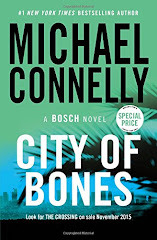 Bosch like always is on the case and out to find the killer while the weight of the department and the tension of the city rest on his shoulders. The Dana Girls Mystery: The Mystery of the Winking Ruby. The Dana Girls have been hired by their uncle who's the Captain of a cruise ship to solve a mystery. One of his employees has fallen ill and lost his memory. He's able to tell the Captain that his sister and mother are in danger and little information about a winking ruby. 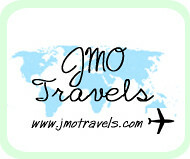 The sisters take the case and hit the high seas and then Europe to solve the mystery. A Darkness More Than Night. 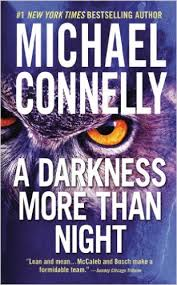 This is in the Bosch series that I mentioned earlier. I believe this is book seven in the series and it also happens to be the book that Amazon just realized will be the plot of the next season that hits prime memberships next month. They always seem to change the story around a little bit for the show so I'm interested to see what they do with the plot. This time Detective Bosch is getting the finger pointed at him for a murder. I told you! I'm obsessed with the red planet recently! 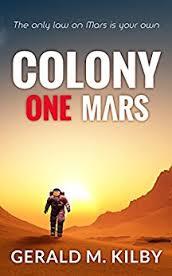 This fiction book written by a British author sets the scene on Mars and what's happened after a failed mission from three years prior. When the astronauts get there they find that not everything from the first mission is gone. What they do find startles them and quickly breaks up the five member crew. Now their in a fight to get off the planet and back to Earth one day. This book ended with a cliffhanger and I can't wait to read book two!